Simay-e-Azadi (The face of freedom) aka Iran National Television (INTV), has been broadcasted for about 18 years. It represents the Iranian freedom movement and covers the issues related to Iran. Simay-e-Azadi is credited as the most reliable, popular, TV channel which circumvents the censorship apparatus of the mullahs’ regime. 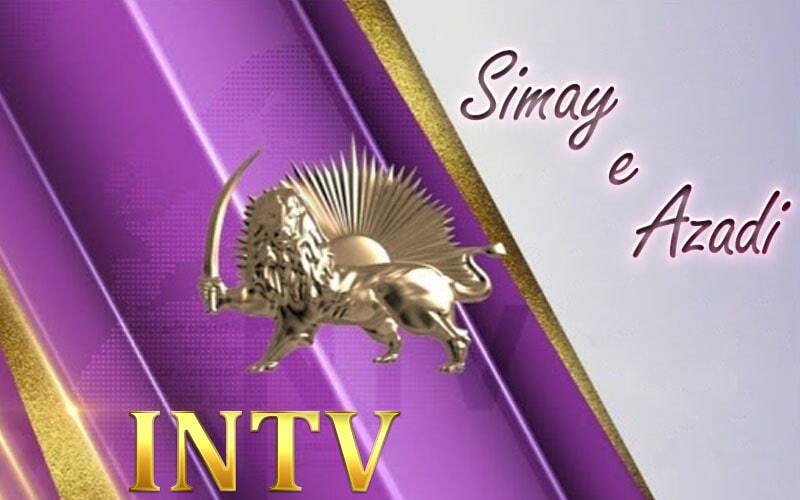 The INTV provides videos and documentaries from the latest anti-regime activities by resistance units and popular protests inside Iran. Simay-e-Azadi is the voice of the voiceless and has a unique role in delivering news of the protests and resistance within the country, as well as breaking the wall of repression and exposing the catastrophic situation of human rights in Iran. It also speaks out the plight of the deprived classes and the misery of the suffering laborers, on striking strata, and abandoned earthquake-stricken people. The Iranian regime has done nothing but spreading social damages including addiction, prostitution, trafficking of women and children, as well as institutionalizing misogyny and widespread suppression of students and youths. Simay-e-Azadi has a significant role in demonstrating the Iranian people’s struggle for freedom and justice across Iran and abroad. The INTV is like a nightmare for the mullahs, therefore they attempt to prevent the Iranian people from accessing it. Due to relying on the voluntary contributions to continue its activities, Simay-e-Azadi, once in a while, holds telethon fundraising. It is amazing that every telethon event turns to a national manifestation of will and solidarity with the Iranian Resistance. It is worth to remember that the telethon, usually receives lots of calls from supporters within Iran. By declaring their viewpoints on this “forbidden” channel, these brave supporters of Simay-e-Azadi run the risk of being arrested and probably executed. Fearful of the divulging role of Simay-e-Azadi, the Mullahs regime uses all its efforts to disrupt Simay-e-Azadi and seeks to turn it off by arrest, imprisonment, and execution of contributors as well as nonstop noise diffusion and removing satellite receivers. However, Iranians inside and outside Iran, countering the clerical regime and in order to foil its suppressive measures on the one hand and trying to promote and expand this TV program on the other, have turned the support for this media to a symbol of solidarity, and with their active participation help this TV to continue its broadcasts and to expand and promote its programs. Stay with us to share the compatriots’ passionate calls who express their solidarity with Simay-e-Azadi in our next reports.